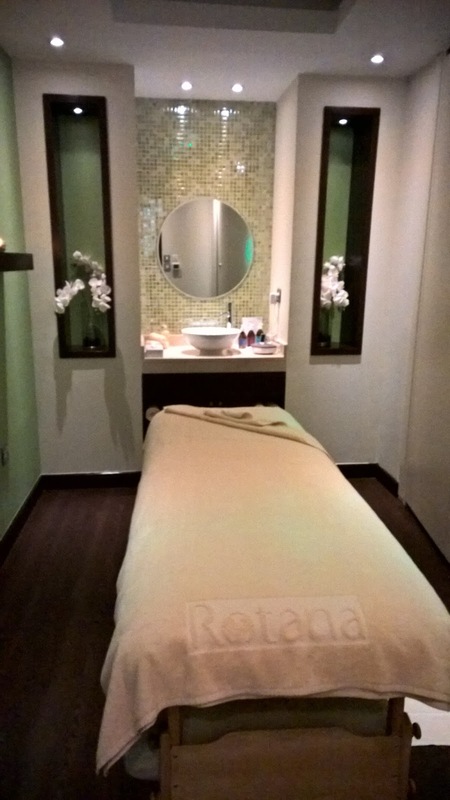 Not many people know this, but Khalidiya Palace Rayhaan by Rotana has a Wellness & Massage Spa offering a compact but comprehensive range of treatments. I recently visited them for an Intense Muscle Relax treatment. The Spa is part of the Beach Club and is accessed from the ground floor, where a staircase leads me to the 1st floor. 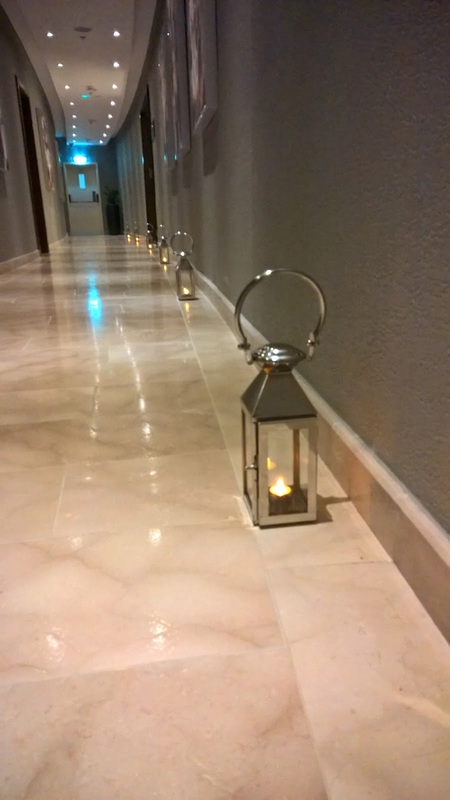 On my way, I pass the gym, what appears to be an aerobics session and a couple squash courts, and then as I turn the corridor, I see some lanterns on the floor, serving as beacons, leading me to the Wellness & Spa area. Suddenly, the sound of rubber shoes on the squash court's wooden floor is drowned out by silence. Peace. Serenity. Yes, this is the spa. I am greeted by staff, and my therapist, Bee from Thailand, guides me to the waiting room where formalities are completed. She checks on any areas I want her to focus on. Soon after, I visit the change room where I slip into a bathrobe and slippers. It is simple and no fuss - I like it. 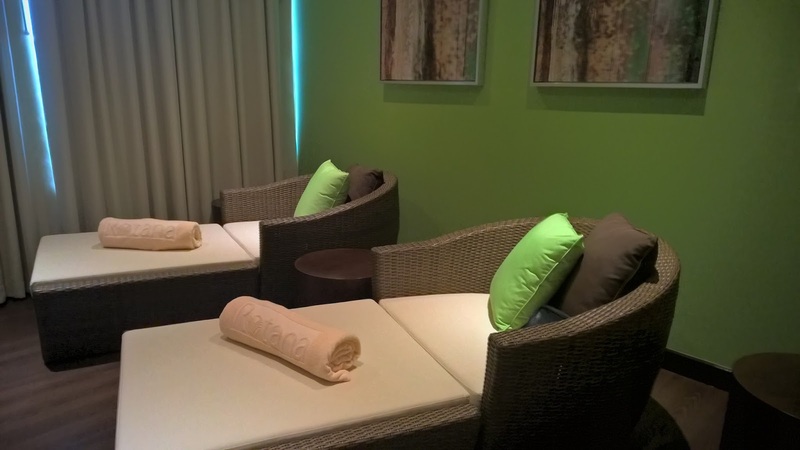 There are 6 treatment rooms in total, including the option of four rooms being transformed into 2 couples' treatments rooms. My room is tranquil as you would expect, with the ambient music and lighting perfectly pitched. While the waiting room was bright in a parakeet green, the treatment room is more earthy with lighter, natural tones dominating the room. 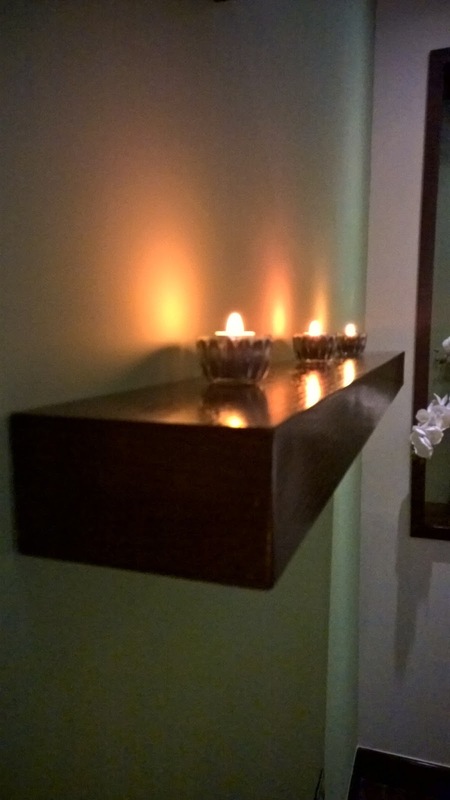 My treatment, a 60 minute session, features sandalwood oil from the award winning Aromatherapy Associates of London brand. It does not take long for me to feel relaxed. Bee is able to adjust the intensity of her hands without my asking as she is very sensitive to the slightest feeling of discomfort I show, a sign of her experience and skill. Nonetheless, she also reassures me that I can tell her any point if she needs to change the pressure. However, she keeps conversation to a minimum, allowing for genuine tranquility and a feeling of escaping into another world. By the time my treatment has ended, I can't believe that an hour has passed; this an indicator that it was a deep and relaxing session. 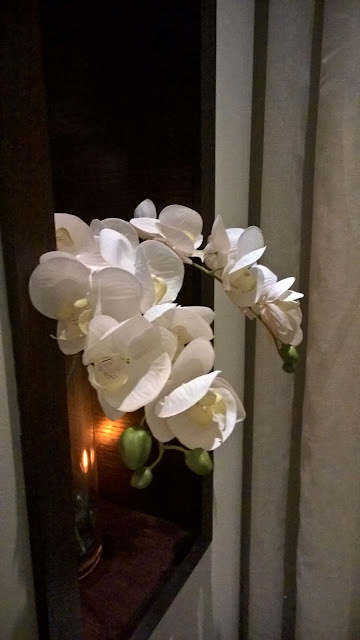 The Wellness & Massage Spa Centre at Khalidiya Palace is a no frills option that offers treatments at excellent rates compared to other 5 star establishments, but with results to match. With an excellent team of staff mainly from Thailand, you know you are in very capable hands. Disclaimer: I consult at restaurants and hotels in an attempt to look at the entire product to take service levels to where they should be. I visited Khalidiya Palace Rayhaan by Rotana courtesy of the hotel.